When my friend Cathryn told me she was getting married I was thrilled for her. When she told me the wedding was going to be in the middle of July, in Arizona, at a resort with two water slides – I was a little unsure. 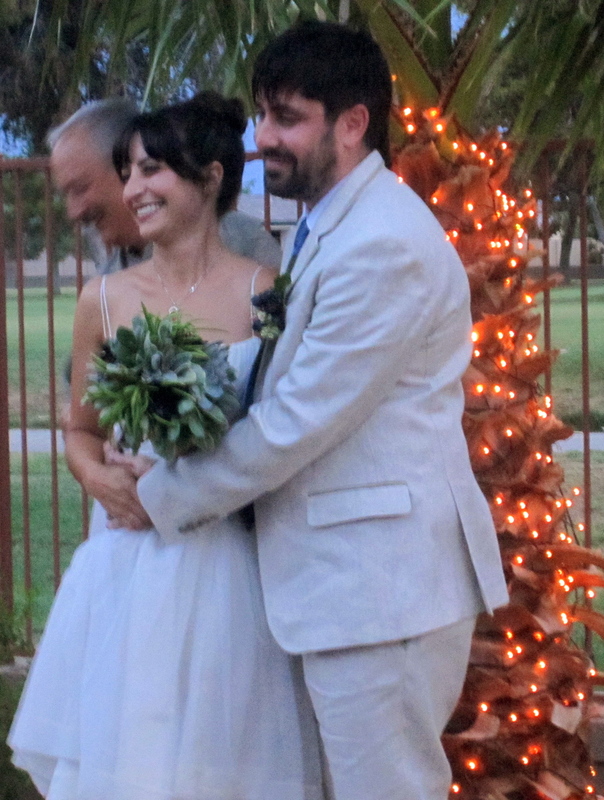 But the Wigwam Wedding – as it would come to be known – was an incredibly fun, beautiful, and joyful event. It was the perfect way for Cathryn and Ryan to celebrate and it was a fantastic weekend. Being so far away from my friends most of the time, any excuse to see everyone all together is well worth a plane ticket, and this wedding was above and beyond. There are about ten of us girls that have been friends for what feels like forever. I met the group at the tail end of elementary school and we’ve stuck together through high school and college, picking up a few more along the way, and now we’re watching each other move into the weddings and babies phase. I love these girls to pieces, and it’s amazing to see their lives progress. When we are all together, it feels like not a single thing has changed since we were 16 years old, messing around in the halls at Drake High School and cracking each other up. Two days of lounging by the pool celebrating, and seeing these two people, who make one another so happy, deciding to share their lives, was enough to make me see what perfect sense the pool party wedding made. The setting, the people, and yes the water slides, were all elements that came together magically. All of these things made for a gorgeous celebration and I was so happy to be a part of it. Seeing everyone makes me wonder what I could possibly be thinking to be so far away. The older I get, the more special I realize it is to have this circle of friends. To still have these people in my life who I have known for so long, who I have grown up with and been formed by in so many ways. These wonderful friends and my desire to be close to them, only adds to the growing confusion I have over where I might end up. The ever-present question remains: where on earth am I going to settle down. But instead of figuring that out, I decided to fit a little more traveling in, so my summer circumnavigation of the globe carries on. I packed up my things at the Wigwam, and boarded a flight back to San Francisco for a couple of days of recuperation in the fresh, cool, fog before climbing on board China airlines flight number 775 to Bali.